Posted on September 19, 2014 by Financial Underdog	in investing. Whatever happened to our solar energy investment? Back in May, I’ve mentioned how we’ve decided to invest directly into solar energy production in Ontario by investing into Solar Income Fund. 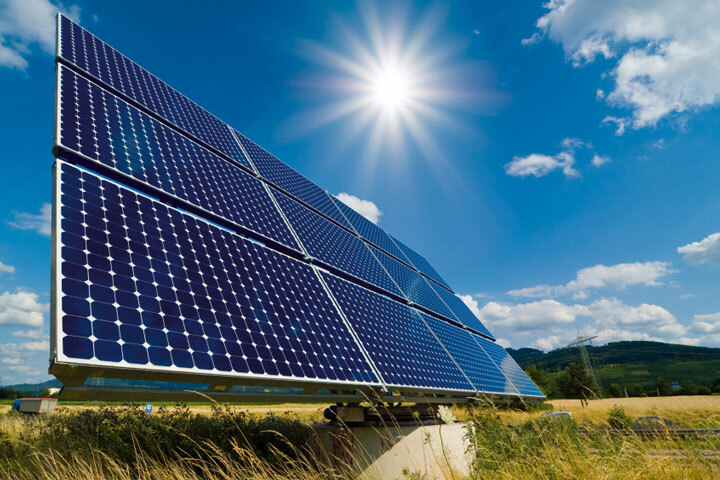 This great company specializes in developing, acquiring, and management of solar farms. Some of them are simple rooftop operations, and some are major solar energy farms taking up acres of land. Great thing about solar energy investment in Ontario is the fact Ontario government guarantees to pay top dollars for electricity generated with these farms. While developing and construction phase might be capital-intensive, generating income after that is easy and virtually maintenance-free. Unfortunately, our investment has been delayed with a major change in SIF management team that had to be reviewed before proceeding. Management can make or break company, so any changes to the management team have to be disclosed to investors. Of course, being a huge financial nerd I’ve considered other options for these funds. Spending $10,000 on nice things. Following Kapitalust‘s awesome take on building vs. spending wealth, I’ve thought of iPhones as an alternative to our investment. We could have bought 10 new iPhones with $10,000 and be the coolest kids on the block. Unfortunately, this option comes with a negative return on investment as nice things (no matter how nice they are) tend to drop in value over time. The new iPhone might be worth $1,000 right now, but in 12 months it will only be worth $500 tops. What does it mean? The return on this “investment” is -50%. What a great way to lose your money fast. We also could have bought a brand new car. Our car is quite aged by now, and the new car smell is a thing of beauty. Unfortunately, new cars lose value faster than the smell goes away. Once you buy a brand new vehicle, you automatically lose 11% of your money with 15% to follow for every year thereafter. Also a great way to lose your money fast. Keeping $10,000 in our savings account. Unlike previous options, this is a slow way of losing money. While 1.3% return on investment is greater than zero, it still below our current national inflation rate of 2%. On any given year you will earn 1.3% on your money, but the value of these funds will lose roughly 2% of buying power. Yet another losing proposition! Putting $10,000 towards our outstanding mortgage. This option actually makes sense from financial point of view. By reducing our mortgage, we technically avoid paying interest on this amount thus saving us a considerable amount of money. In this case, the return on investment is equal to our mortgage rate (3.89%). Certainly not bad. Especially given the fact that this return on investment is guaranteed. How does solar energy investment stack up against these options? Solar energy investment on the other hand comes with 9 percent return distributed monthly with some upside potential (additional profits distribution) split between investors and the management team pushing the overall return on investment even higher. Yes, the risk is there. Unlike repaying our mortgage which carries no risk, our solar energy investment can be considered risky. What if the management team runs the company into the ground? What if they’re unable to acquire solar energy farms? What if competition is just too strong? After reviewing their past performance, I have nothing but confidence in this company. They have vast experience in this field, and been delivering outstanding return on investors’ money for years. Also, I’m quite happy with taking some risk because I understand that no investment worthy of making is risk-free. We’re still very young, and we need to take risks in order to grow our net worth if we ever hope to achieve financial independence. Our solar energy investment is already making money! Seventy five dollars is exactly 1/12 of a promised 9% dividend. This money will be hitting our account month after month. We don’t have to work for it, we don’t have to be even awake. 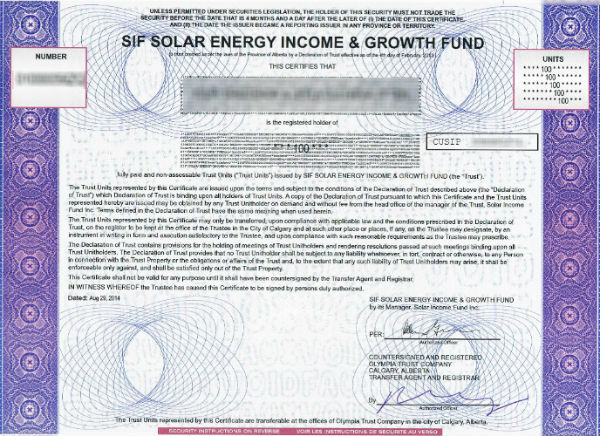 The passive income generated by our solar energy investment will keep flowing. Isn’t investing great? We’ll keep collecting dividends on this investment month after month. Instead of spending it, we’ll be putting this money towards other investments to keep money growing. Once this investment exits (which is planned in 3 to 5 years) and the principal with added profits is paid back to us, we’ll be looking for another investment. Wash, rinse, repeat. I mean, invest the money, earn return on your investment, and re-invest it again. I hope with enough repetition to get to the point when money we have will work harder for us than we have to work for our money! And I’m still hoping to visit one of the solar farms in person! ← Meet Mr. and Mrs. Financial Underdogs! Thanks for the shout out! The solar investment looks really cool! You’ll have to keep us posted on how it fares! “A slow way of losing money…” well put. I would just say that your return on investment from making a payment on your mortgage is actually higher than your mortgage rate when you consider that you’re paying with after-tax dollars. Just found your blog, enjoying it very much so far! Why would anyone leave money in a bank account at 1-1.5 % ?? You would be better off buying the banks stock and receiving their annual dividend – most of the big 5 banks are currently paying 3.8-4.5%; in addition- the bank shares are currently low. Another option are mortgage investment companies – the two I currently own – one in Kelowna- one in Vancouver paid 7.4% in one and 8.7% in the other. A word of caution- “buyer beware” several of the companies (Kelowna based) are in the red – due to the high risk loans they have done. Know who you are dealing with – meet them- see their financial statements for the past 5-7 years. SEE their dividend payment record. Both firms I am with have very little debt – and neither are accepting new clients – due to the current low interest market rates. I am not a broker – and cannot offer advice or recommendations. I will not deal with anyone who is not registered under the securities act. Even that is no guarantee. Read every single line – if you don’t -have your lawyer review it first.